Praise Academy at Lakeside is a safe and vibrant neighborhood elementary school whose doors opened in the fall of 2015. 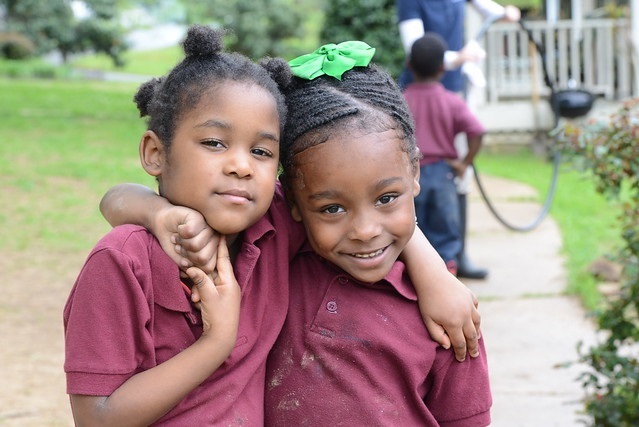 We currently serve pre-kindergarten through sixth grade students and will eventually expand up to eighth grade. At Praise Academy we foster a child's natural ability to see what is true, beautiful and good in God's creation through a classical education. We believe all children have the potential to learn, and our curriculum individualizes the learning needs of each child. Relying on more than thirty years of experience in education, we lay a strong foundation that assists our students to become productive, employable and active members of their families and community. To provide an elementary school education that fosters each child’s natural ability to become a productive, employable and active member of family and community through a Christ-centered classical approach. Non-discrimination policy: Praise Academy at Lakeside admits students of any race, color, national or ethnic origin to all rights, privileges, programs and activities of the students at the school. We do not discriminate on the basis of race, color, national or ethnic origin in the administration of our educational policies, admissions policies, scholarship programs, athletic programs or any other school-administered programs.